Sandy joined Ellenbecker Investment Group (EIG) in 2013. Her customer relationship skills and enthusiasm help make her an asset to clients and the EIG team. As Wealth Advisor Associate, her responsibilities include assisting Jean document and communicate with clients with integrity as she strives to look out for their best interest. Her primary goal is providing timely and accurate service while building and maintaining relationships. Her desire to meet and exceed the needs of clients is demonstrated by her willingness to work tirelessly to provide the service that sets EIG apart. Sandy’s financial background started in 1990 by assisting clients’ with their financial plans and documentation. 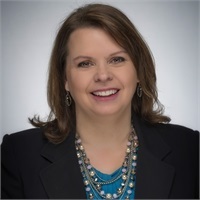 Prior to the beginning of her career in the financial services industry, Sandy completed her business degree at the University of Wisconsin-Oshkosh in 1990. She has successfully passed the FINRA Series 7 General Securities Representative exam and the Series 65 Uniform Investment Adviser Law exam. Over the years, a large family brought Sandy home full time; however, Sandy stayed involved with the community through part-time positions and fundraising activities. She enjoys volunteering and has made it a large part of her life through activities at the children’s schools, as well as in the local theater. Sandy was a founding board member of a local theater group and served on the board for five years. She is currently serving on the school board at Calvary Baptist School. In her free time, Sandy can be found with her husband, David, managing the sports and leisure activities of their five children: Cassandra, John, Elizabeth, Alyssandra, and Ryan. Quality time with her extended family, annual summer beach vacations and long weekend travel are all part of her busy lifestyle.